1. Forgive someone. Create a little ritual around it (the symbolic life is very important to the subconscious mind, which thinks in images and metaphors). Write a letter to this person, pouring out your soul to them. Then burn it. Chant, “I forgive you,” 5 times. And go have a beer to celebrate. 2. Go for a walk in a cemetery. Sounds morbid, maybe, but thinking about death can connect us more deeply to life. Imagine your funeral: what would people say? What would you want them to say? Then go home and write down a list of things you want to have, be and do before you die. 3. When you disagree with someone, develop a habit of detaching and looking for the truth in the other person’s statements. Just assume that it’s there. (You might have to look hard. Really really hard.) Reflect that truth back to the other person and let the conversation go from there. 5. Whatever big issue you are struggling with right now, make a vow to yourself that you’re going to learn from it, grow from it and find some way to resolve it – so you can help other people who are also going through it. Then go take one action, no matter how small, that moves you one (baby) step closer to improvement or resolution. 6. Throughout the day, look carefully at your environment and find ten details – a sign, a flower, a shadow falling across a cobblestone road, a vintage car parked outside your office building – that you find interesting or beautiful or amusing. Use your camera phone to document. Challenge someone else to the same exercise. Compare the details you notice and the details they notice — do they tell you anything new about this other person? Or yourself? 7. Assemble a list of famous (or infamous) quotes off the Web that provoke or inspire you or make you laugh (or some combination thereof). Post it on your social networks. 8. Give somebody a gift for no reason other than that you think they are (fill in the blank) and make the world better for being in it. Expect nothing in return. 9. You wear about twenty percent of your clothes. Go through your closet and get rid of some or most or all of the remaining eighty percent. Tell yourself you value clarity, space and calm over clutter and hoarding. Then think about other areas of your life, and find something in each area that you can subtract or eliminate. Go do that. Then see what those fresh empty spaces start to invite into your life. 10. Do this exercise with a friend, possibly over a bottle of wine. Tell your friend the story of your past. Then have your friend retell that story as if your life was a novel chosen for Oprah’s Book Club and you’re the plucky protagonist, overcoming adversity and acquiring wisdom along the way. Discuss the best possible ways for this story to end – how will the heroine triumph? What does she need to learn or do in order to triumph? How can you set her up for an amazing sequel? Then reverse positions. 11. Rock out in your car. It’s good for you. I think you should walk through a cemetery in the near future and blog about what you discovered? Answer your own questions. Please? I recently went for a walk in a Cemetery. My biggest complaint was wondering what these people were really like in person. What they cried about, what they laughed about. 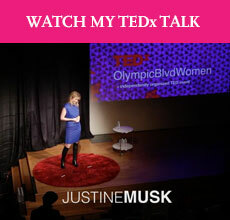 Great inspiration Justine! Especially No. 2 (cemetery) is so true – due to the nature of the surrounding one get’s a stillness that pulls your own reflection. While studying economics in Mainz, Germany, the main cemetery was just across the street next to the campus. Amazing times strolling through the rows, and imagining the past.